The decision to start locking one's hair is a very personal one and should not be entered into lightly. It is a commitment and a re-affirmation to self, regardless of your full inner-standing of any symbolism connected to this process at that divine time. This decision should be filled with sound advice from a reputable natural hair care professional. Choose someone who shows genuine concern for your natural hair and who does not mind answering all of your questions. Growing locs is the true definition of a 'perm,' yes, it's permanent. Unless you cut them off or commit to spending days or even weeks picking them apart, which will surely damage your hair. The natural locking process happens when virgin hair is sectioned, twisted with a natural gel plant-based-herbal-gel and left alone for nature to bond or lock the strands of hair together. 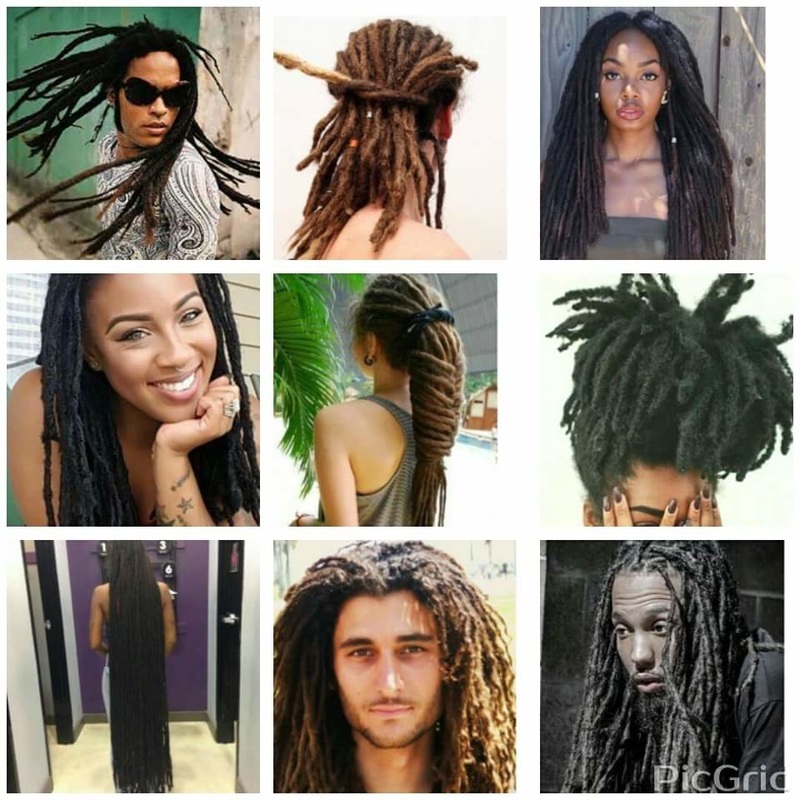 Locs may be started from short or long virgin hair. 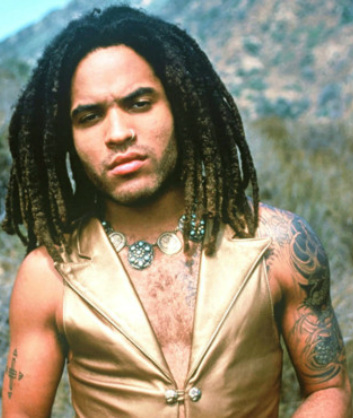 The thinner or thicker the sections of hair determines the size of the locs. Your locs will form in about 3-4 months depending on your hair texture. They will take on a fuzzy, unkempt characteristic as they start to form. During this time (The Initiation Stage) you may want to reconsider your decision to loc your hair. It is at this point that Spirit is checking to see how committed you really are to your beautiful transformation. When you make it through this part of the process, the rest of your journey will be easy. Locs do not happen over night. It takes on average, at least 4-5 years to grow to shoulder length locs and hopefully you have been taking great care of the inside of your body temple, since healthy bodies do grow healthier hair. Remember to increase your water intake, practice making healthier food choices, consume more natural juices, fruits and vegetables. Limit or cease your coffee and anything containing caffeine, also you sugar consumption. Proper nutrition is the key (insurance) for you to have enough nutrients in your blood stream in order to support the added luxury of growing stronger, healthier locs or unlocked natural hair. ​This method is achieved by simply washing your hair with ancient-blends-lemonmint shampoo, followed by a deep treatment with an herbal conditioning treatment and a warm oil scalp massage. Then, allow your hair to grow 'freely' without combing, twisting or shaping. Free formed locs may also be formed by washing your hair often and separating the naturally occurring bunches of hair. They can vary in size, from really small to really big. It all depends on how much or how little you divide the sections of hair. Another 'free-form' technique is done by towel drying short virgin hair into circular motions, the hair freely forms into tightly, separated twisted coily curls. The 'guided form' also known as 'salon locs' or 'society dreads' are determined by shaping the hair into twists, braids or palm rolls and stylized into neat, uniformed locs. Salon trained locs require the most care and attention. if you prefer low maintenance locs (NOT TO BE CONFUSED WITH NO MAINTENANCE) then 'free formed' locs are for you. Locs are worn by many people all around the world. They are worn in various sizes from micro to free form, and everything in between. We see a lot of amazing styles worn by women, men and children and when we see these styles we can see our own reflections, when we look deeper, we will see our own legality. All kinds of people adorned with such unique and versatile locs, a variety of color, volume and textures that are out of this world! We are truly beautiful.